July 7, 2012 December 29, 2018 - by Owen - 3 Comments. I read in the Glamorgan Gazette that there is some sort of alternative – I presume the site will be offered to another supermarket chain. If it turns out the Salt Lake site will be turned into houses or apartments, then the people of Porthcawl have every right to be furious. This is pretty shocking, as Tesco isn’t a company that finds it difficult to build new stores. It could be a timing issue, it could be something else – like Tesco’s relatively poor recent retail performance. It probably means that the regeneration scheme, as it is, is now on its deathbed. Something very serious behind the scenes must be happening, and it’s killing what should be Bridgend County’s proverbial “jewel in the crown”. I won’t beat around the bush. A supermarket and a housing estate doesn’t warrant the label “regeneration“, even if it’s better than the wasteland that exists there now. 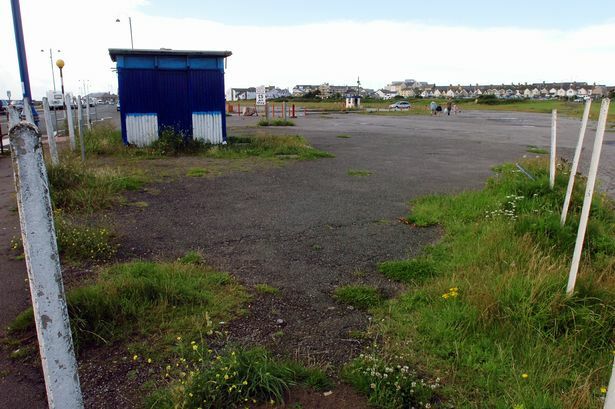 The Porthcawl regeneration, or lack of it, has to be tackled with some urgency by Bridgend Council. It might even mean ripping the whole thing up and starting again. Bridgend Council are going to have to admit defeat on this one, and bring new ideas to the table that are going to get the Porthcawl public onside, or they’ll lose them for good – and not just on this regeneration issue. Their lack of focus and resolve is seeing setbacks turn into catastrophies. When you consider what’s being spent on Bridgend and the northern half of the county – including those schemes highlighted below – Porthcawl has every right to expect their fair share of investment and attention. 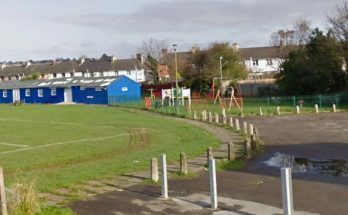 I posted a few weeks ago on the redevelopment of Bridgend Recreation Centre. I mentioned that the plans included a new library over two floors, but was withdrawn in a later updated version, replaced with a non-descript “activity area”. Bridgend Council have now launched a formal consultation into a move from the existing Carnegie library on Wyndham Street to the redeveloped Recreation Centre. The consultation details are available here, and closes on September 21st. A full report will be presented to the Council Cabinet in the middle of October. You can argue, on paper, that a new library shouldn’t be a high priority for the council. However, as mentioned last time, they have had long-term ambitions to create a “Life Centre” somewhere in the town – a sort of “one stop shop” for culture and leisure. The existing library’s too small for the population. There are still issues with regard disabled access (despite recent improvements), complicated by the library’s listed status. The number of book loans and users has fallen in recent years (which kind of contradicts the first reason). The opportunity for modern, improved facilities at the recreation centre, as well as an extended range of material to loan and view. The existing library wouldn’t close until any new library at the Recreation Centre is completed. What interests me now, is what will happen to the Wyndham Street library when/if it closes? An art gallery? A town museum? Converted to another use? It would be a shame if it was converted into another bar or restaurant, as it’s quite a grand building by Bridgend’s standards that deserves a dignified future role. As will be obvious to anyone who’s been in the town the last few months, there are currently two major regeneration projects taking place at Merthyr Mawr Road and outside ASDAs on Cheapside. These are the first two stages of a wider scheme which will see improvements to Court Road, Derwen Road and complimenting the private HD Limited schemes at Elder Yard, Cae Court and Elder Mews. I’m not someone who thinks public art is a “waste of money” – as long as it adds value to its setting. I don’t think these are bad, but I’m not sure if it’s quite what many of us would’ve expected from a £9m+ regeneration scheme. The artwork consists of two roughly 4 metre diameter bronze and stainless steel “O’s” called “Closed Divans“, designed to be used as benches, with poetry from Brynteg Comprehensive pupils bead-blasted into them. My concern is, on those rare occasions the big burning ball in the sky becomes visible, the metal will heat up, and we’ll have a lot of lobster-bottomed people walking around town looking for the nearest “no win, no fee” solicitor. The new square being built on the old subway between the Brackla St Centre/Bridgend Shopping Centre and the car parks is no doubt a big, big improvement that what was there before, but I don’t see the appeal of it personally. I don’t think people admire the architecture of the public toilets, ASDA, multi-story car parks and the police station (which is also on the move) that much. Skateboard obstacles? You better believe it. A second piece of “integrated public art” has been commissioned for Elder Yard for 2013. The total budget is £105,000, and is being undertaken by the Elbow Room – an artist’s not-for-profit co-operative based in Cardiff. You can see more details here. 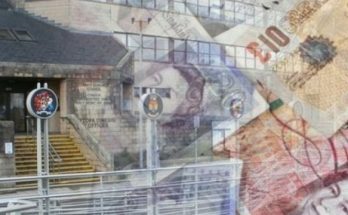 As reported in the Glamorgan Gazette earlier this week, Bridgend Council are spending £32,000 to find a replacement for out-going chief executive, Jo Farrar. We’re told that this is to ensure that the best candidates are enticed to the role. But let’s be frank, that rarely happens does it? 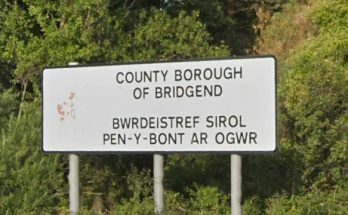 Obviously what Bridgend really needs at the moment is someone from the outside with no knowledge of Bridgend county, its financial situation, how devolution affects local government in Wales (if they come from outside Wales) and have no working relationship with the existing officers. Sometimes “promoting from within” can be construed as nepotism, and it isn’t always the right thing to do, but where are we going to get the leaders of tomorrow’s Wales if we’re so lacking in self-confidence that we don’t step up to the plate when required? I’d prefer to fold all the executive officer posts into one, and create elected mayors with executive powers, directly answerable to the electorate. I’ll probably have more on that next year. This empire building has to stop. People from lower down the chain of command should have the chance at the top job, and it should be awarded, ideally, on merit for performance within the borough. Though judging by what’s happening in Porthcawl, maybe someone from the outside, headhunted by professionals, isn’t as much a needless expense as it sounds.